Matchroom Multi Sport is pleased to announce that ManBetX will title sponsor snooker’s Champion of Champions for the next two years. Taking place at the Ricoh Arena, Coventry from Monday to Sunday 5-11 November, the 2018 ManBetX Champion of Champions will be broadcast live in the UK on ITV4 throughout and on networks around the world including CCTV in China. The ManBetX Champion of Champions features World Snooker tournament winners from the previous 12 months, including World Champion Mark Williams, UK Championship winner Ronnie O’Sullivan and Shaun Murphy, who will defend the title he won last November. The tournament begins with four groups, each featuring a semi-final and final on the same day with the group winners progressing to the tournament semi-finals on Friday 9th and Saturday 10th November. 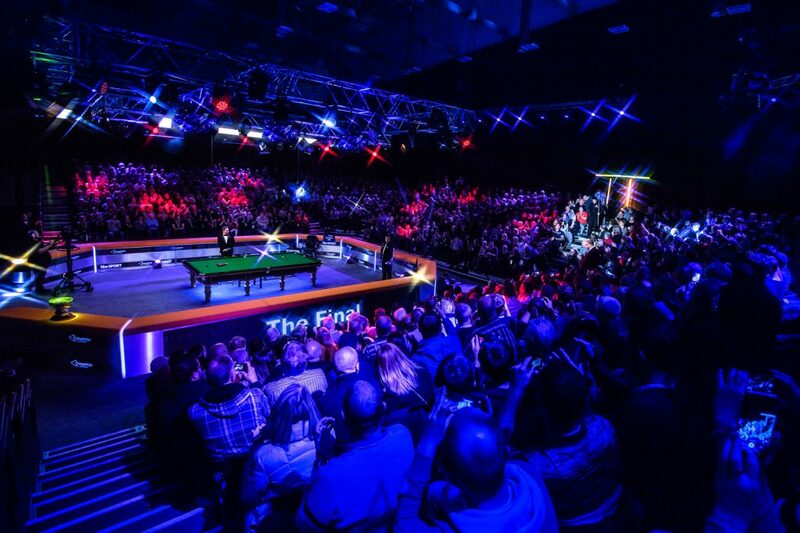 Sunday’s final will be played over 19 frames with the winner taking home £100,000. Barry Hearn, Chairman of Matchroom Sport, said: “We are delighted to once again be working with ManBetX on what is one of the biggest events on the snooker calendar. We have an ongoing relationship with ManBetX, who are a great supporter of world-class snooker and we are pleased that they will title sponsor the Champion of Champions.